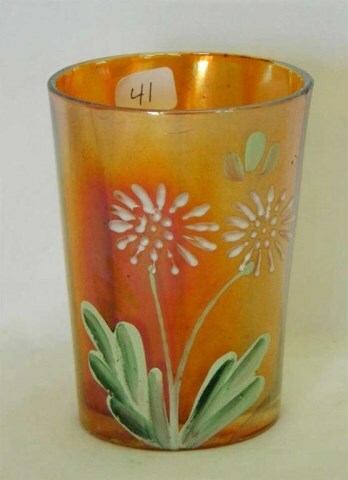 Daisies were apparently popular flowers, or at least the name was. 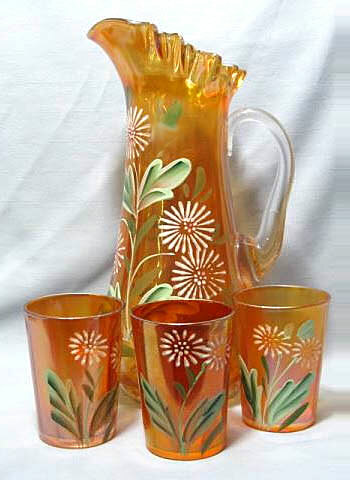 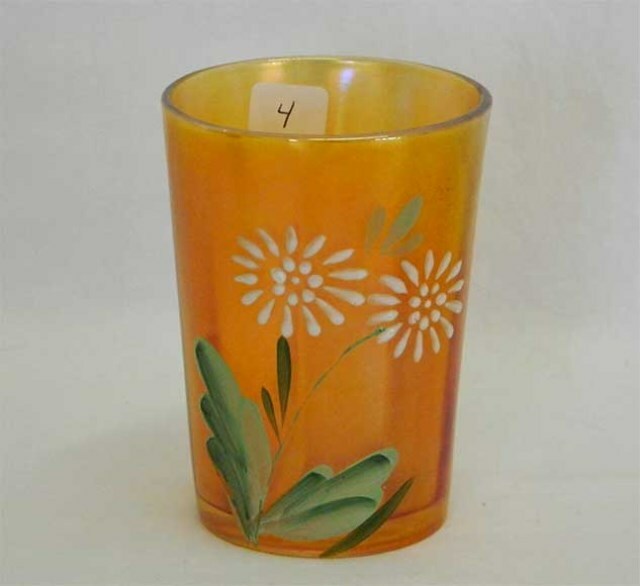 The pattern is sometimes called Double Daisies as the tumblers have just two flowers rather than groups of three or more on the pitcher. 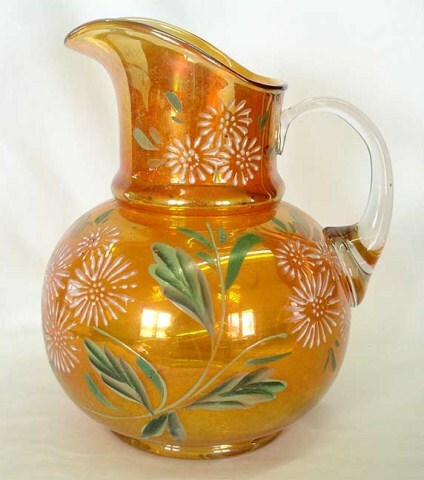 The marigold example shown on the left sold for $135 at a 1996 auction. 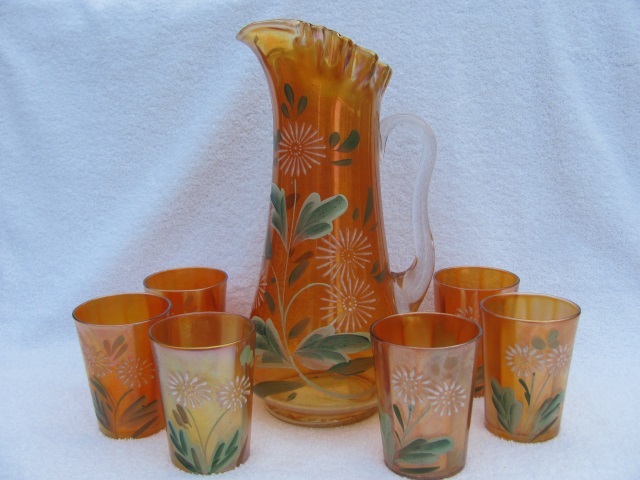 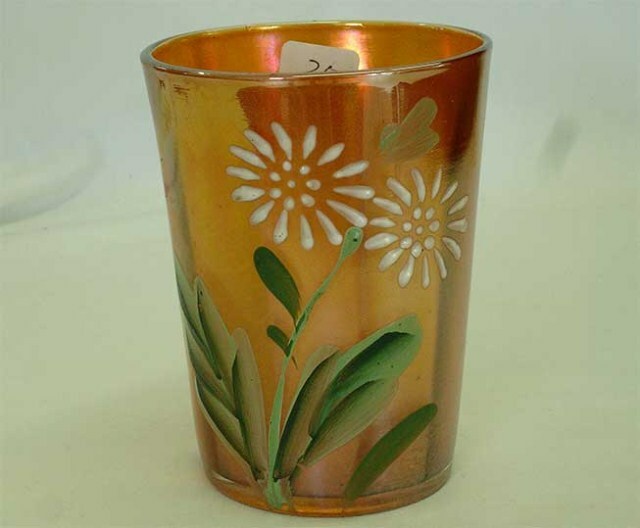 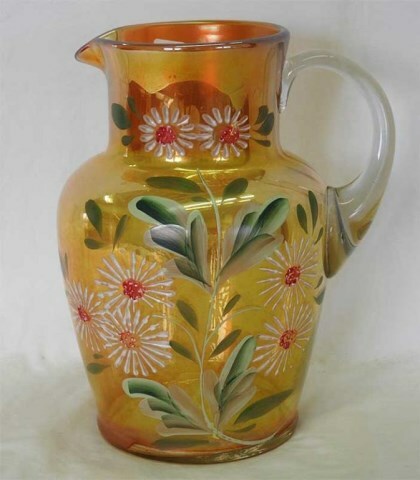 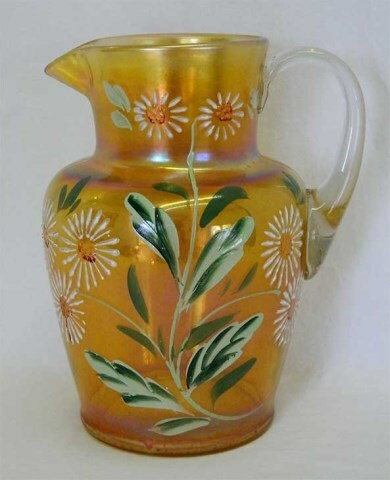 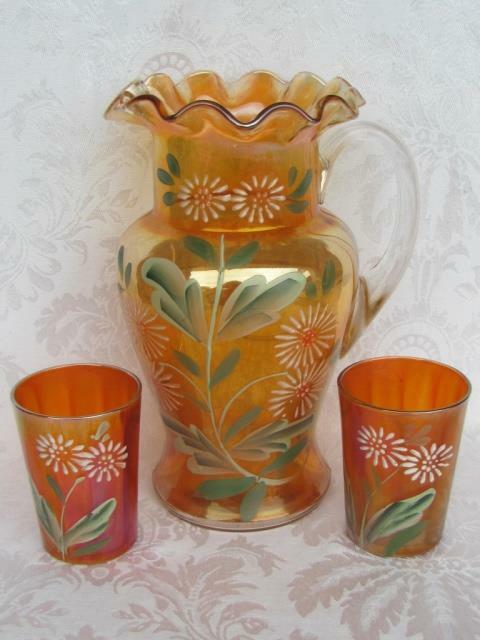 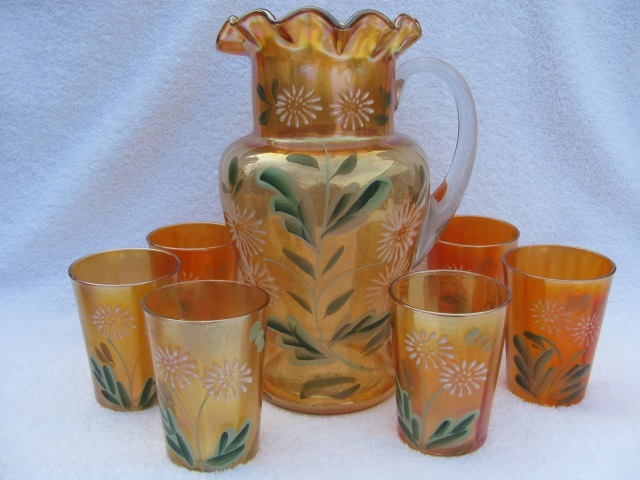 Another take on the Daisies enameled pattern is pictured in the center, this time on a tankard-style pitcher. 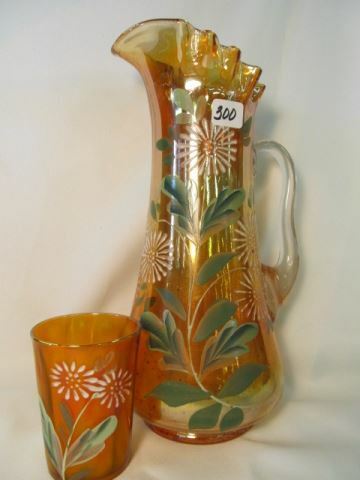 This pitcher and three tumblers sold for $155 in 2014. 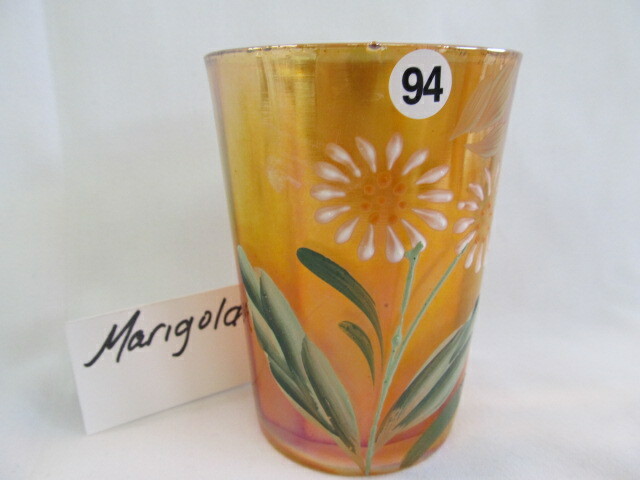 Photo Courtesy of Wroda Auctions. 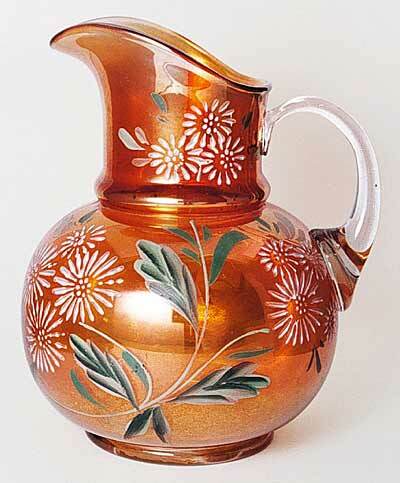 And on the right is yet another style of pitcher, the pattern is modified to fit the shape. 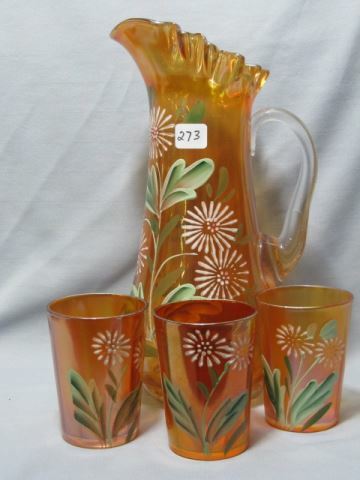 Photo courtesy of Seeck Auctions.